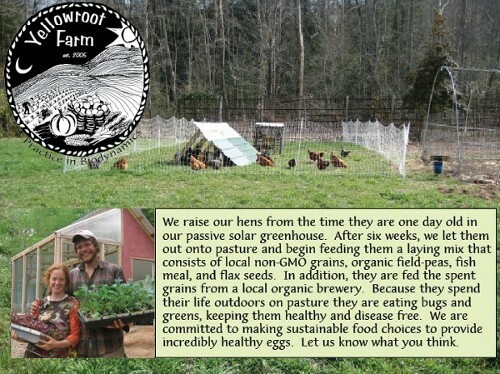 Yellowroot Farm is a biodynamic, CSA farm that encompasses three acres at Earthaven, in three different neighborhoods. We are using a rotational system of animals, cover crops, and annual vegetables. We raise pigs, broiler chickens, and laying hens. 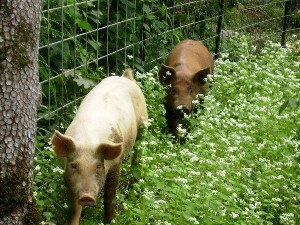 We raise our pigs in rotational paddocks ranging from forest to pasture rich in cover crop. The pigs transform each area into land ripe for cultivation. 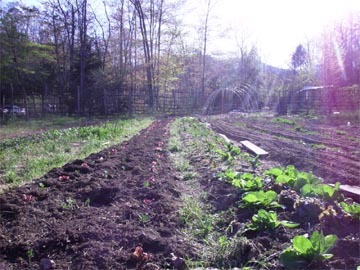 We grow a variety of vegetables for our community as well as for farmers' markets. Our focus on soil health is of high priority because it yields healthier plants that are mostly disease- and pest-resistant. 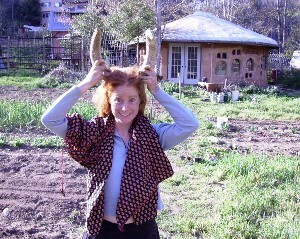 We are a biodynamic and organic farm (although not yet certified); we honor and plant according to the cycles of the moon; we focus on soil fertility by using nettle and comfrey compost teas as well as special biodynamic preparations such as homeopathic remedies, intended to enhance the soil. We welcome visitors to our farm. Please call first. 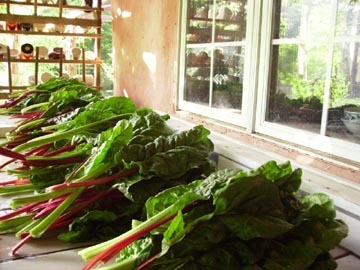 Tours of Earthaven occur every Saturday morning at 10 a.m. Yellowroot Farm is included on the tour. Visit Earthaven’s website www.earthaven.org for more info.